When I first tested the Meater smart meat thermometer I was impressed with its ease of use and its ability to consistently help me cook meat perfectly. There wasn't much fault to find, but one annoyance was the relatively short Bluetooth range. A new version, called Meater+, solves that. 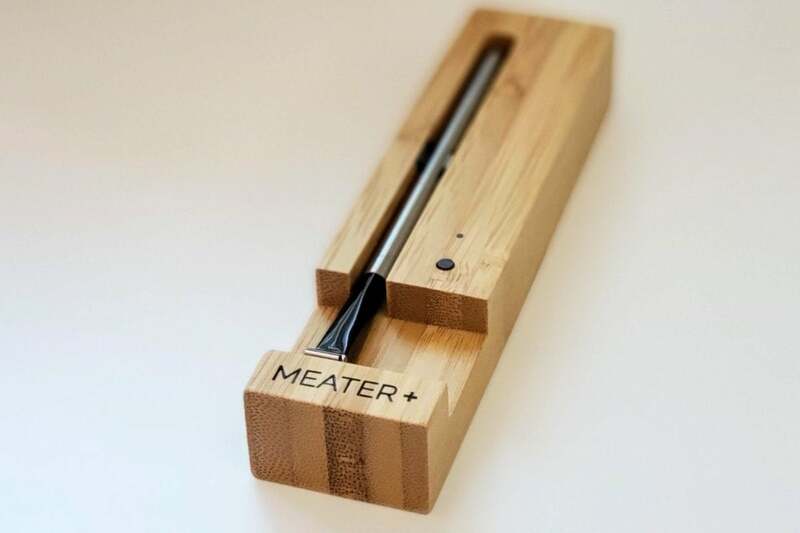 Meater connects to your phone via Bluetooth, providing a constant stream of temperature data both internal and external to the meat being cooked or grilled. It's vital, so the app can monitor cooking and tell you exactly when to remove from the heat so your meat is cooked just right. In my tests I found the signal dropped as soon as I entered my house, requiring me to leave my phone outside near the grill. It's not a huge problem with something that cooks fast, but it's a hassle if you're doing a slow cook. Meater+ looks identical to the original Meater and comes with the same Bluetooth probe. The difference is in the base unit, which includes a Bluetooth repeater. With Meater+, the probe connects to the base and the base connects to your phone. Apption Labs, which make the device, says it increases range from about 33 feet (10 meters) to 165 feet (50 meters). In my test, I found range was greatly extended with the Meater+. 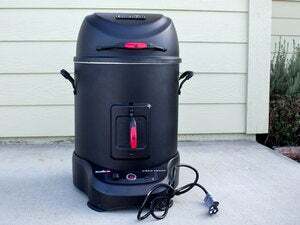 This is especially useful if you have a barbecue or smoker with a metal surround that can attenuate Bluetooth signals. The rest is the same: insert the probe into your cut of meat, set the app to the meat being cooked and how well you want it done, let the app monitor the progress, and pull it off the heat when instructed. The app will also tell you how long to let it rest and then you're done. The Meater+ costs $99, the original Meater is $69. Read our full review of both models for all the juicy, delicious details. This story, "The Meater smart meat thermometer gets a Bluetooth range boost" was originally published by TechHive.